This was one of my favorite live album for over twenty years. I picked it up again just recently to see if it has survived the test of time. The answer is..........no. Saga was in my world one of the very few prog rock bands I was listening too. I was more into the like of Bruce Springsteen and heavy metal back then. Nowadays, I am more or less only listening to prog rock and fusion/jazz. This is far more complicated music than my previous favorites. Where I previously thought Saga was a mountain, I now only see them as a hill nowadays. There is nothing wrong with this live album. Saga presents their music in a competent manner. The vocals is not particular good. I am not a fan of the vocals, but they suits the music. The sound is pretty dated. .......But this is still a good live album. The best song here is the closing track On The Loose. That is an infectious track and one of Saga's best songs........ if not their best ever. 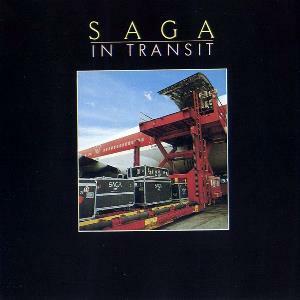 If you are new to Saga and want one album, In Transit is the one you should get.